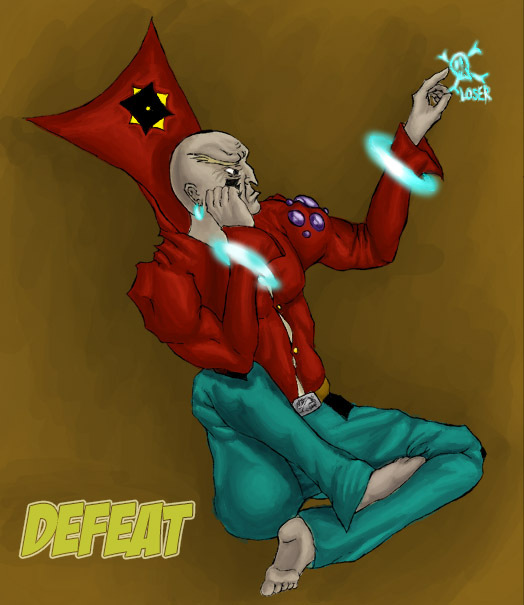 Coalar is a talented wizard trained by a group known as the Red Council. He is perhaps one of the strongest wizards who has been brought in by the Red Council, and also the youngest. This is not to say he is a teenager, but most wizards are not blessed with their talent until a much later age. I am unsure if any other wizards trained by the Red Council are even below 70 years of age. Coalar can utilize both light and dark magic. This is a peculiar phenominon because most people gifted enough to be chosen by the Red Council have only been able to use one type of magic, and the dark magic users have been defeated for their dark purposes. 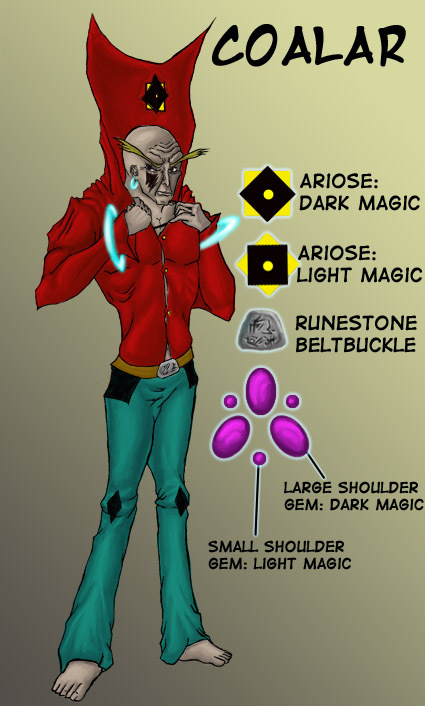 Coalar can use both types of magic, and perhaps more astounding he can also use what exists as mixed-magic spells, which seem to use both sides of magic. There also exists neutral magics which are open to both sides of magic, but these spells tend to exist as elemental spells or summons, and behave differently than Coalar's mixed-magic. As you may have guessed already, Coalar's personality can be quite erratic. His underlying personality is that of an egotistical and somewhat patronizing wizard who does what he wants. 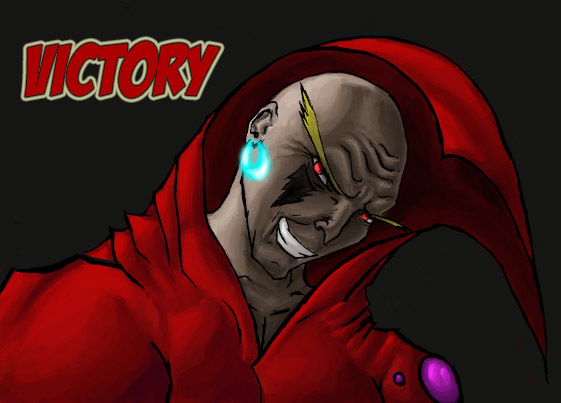 He left the Red Council's watchful eye for Void City because he wished to further his skills. Although generally a calm and collective person, Coalar has been known to have outbursts, and can sometimes be seen as quite sinister or even heroic in his actions. His purposes are usually towards his own gain.